They may be small, but they are fierce. 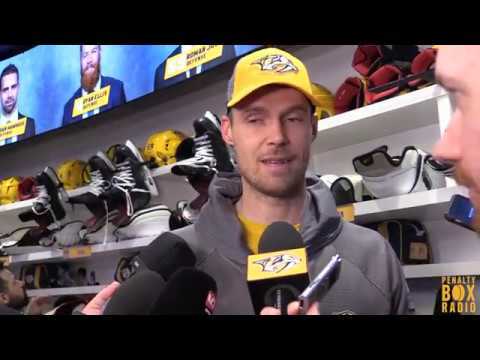 Nashville Predators forward Viktor Arvidsson notched a hat trick and Rocco Grimaldi scored on a spin-o-rama backhander in the 7-2 victory Tuesday night. Both players are listed at 5’9″ or less. 12 Predators had points in the win, with four players registering multi-point games. Hear from Rocco Grimaldi, Ryan Johansen, Viktor Arvidsson and Peter Laviolette in the post game report powered by the Ingram Agency.